Giving is an act of worship and stewardship of God’s resources. It also provides you an opportunity to become one of the most effective evangelists of this generation, by partnering with Anchored North to reach the lost through media and evangelistic campaigns. The average cost of equipment and talent needed to make one video tract is $15,000. We release each one free of charge and strategically distribute it as an evangelistic message to non-believers. Your gift helps us cover day-to-day operating expenses to create gospel centric videos and evangelism campaigns that are freely accessible to 1.6 billion online video viewers. 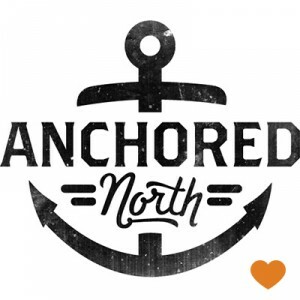 Please make checks payable to: Anchored North. Our mailing address is: 10950 Arrow Rte #63, Rancho Cucamonga, CA 91729. All gifts and donations are tax deductible in the United States, to the full extent allowed by the law. Anchored North is a U.S. 501(c)(3) charitable organization for religious and educational purposes to reach the lost through video and equip Christians to do the same. Yes! I would like to become a Visual Evangelist with a monthly gift of $25 or more.